Just like in humans, there is not a magic recipe for preventing cancer in dogs. There is no secret food or magical herb or pill that will prevent the cancer cells from invading their bodies. With that understood, the smartest thing to do for your dog is to give him or her a lifestyle that promotes a healthy immune system. While the immune system does not always prevent cancerous cells from growing, a healthy dog will do better than a dog in poor condition during cancer treatment, whether chemotherapy, radiation or surgery. In order to help you adopt habits that promote a strong immune system for your dog I created the following infographic: Promoting a Healthy Immune System. Please note that I am not a veterinarian, so always check with your veterinarian before starting your dog on an exercise program or a new supplement to ensure that it is safe for your pet and does not conflict with other health issues or medicines that your dog currently takes. All dog foods are not created equal. As recently as 2010 I was feeding what I would later find out was an extremely low quality food from a big name brand with a reputation for being a healthy “high end” option for dogs. My education began when I innocently answered the question, “What do you feed your dog?” in a Facebook dog group. After being slammed by several other dog owners I began to research and question what was in the food I was feeding. I was stunned and horrified. 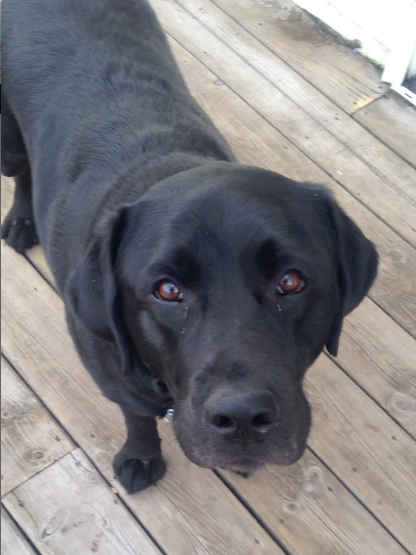 When Jackson was born in 2011 our friend/breeder told me about Canine Caviar. She has known the founder of the company for a long time and swears by the food for her own dogs. Jackson’s mother is on Canine Caviar and it was the first mushy food the puppies ate in their bowl once they were old enough. I researched the food online and from that research and the recommendation of my trusted friend/breeder, I became an instant fan of Canine Caviar. Jackson and Tinkerbell still eat it and I have no plans on changing any time soon. 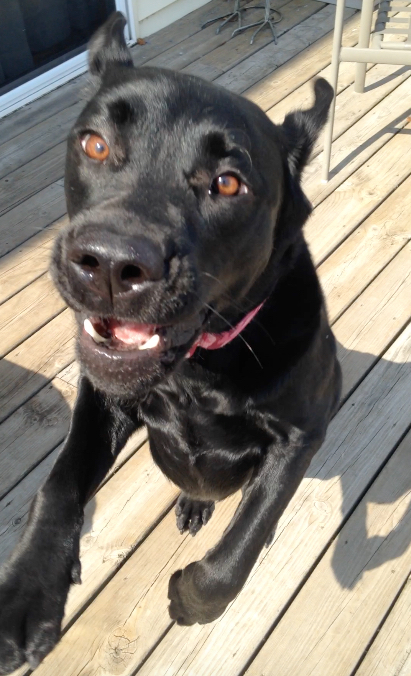 The best resource for anyone getting started researching their pet food is Dog Food Advisor. You may not find the exact formula of the brand that you serve but you can usually find something very close to it. I also love this Dog Food Grading form available at the Elk County Animal Shelter page. You’ll need your bag of dog food or the list of ingredients from your food company’s website. Both of these are eye opening. I prefer to feed all organic ingredients because to me it seems logical that the fewer pesticides used to grow a food means that there are fewer toxins going into my dogs’ bodies. Remember that a high price tag does not guarantee a healthy dog food, but overall the foods with the better quality ingredients will likely have a higher price tag. Most of the higher quality foods use organic ingredients but simply being an organic food does not necessarily guarantee that the food is the best one for your pet. Make sure you look at the ingredients, where they come from, what they are, and what they do in your dog’s body. I prefer to send friends and fellow dog owners to smaller privately owned health conscious pet stores instead of the big box retailers for a food. When calculating the price of the bag it is important to find out the number of Kcals per cup to really determine the total cost of feeding the food. For example, the formula of Canine Caviar that I feed is 599 Kcals per cup. A popular and controversial brand that I looked up has 333 Kcals per cup. This means that to feed the 1350 Kcals a day that Jackson and Tinkerbell consume that I would need to use almost twice as much of the cheaper food, going through the bag twice as fast as the “more expensive” Canine Caviar. When you think of the cost in terms of how far it will stretch and the benefit to your dog’s body they are not as far apart as the initial sticker shock may have seemed. Canine Caviar’s claim to fame is that it is the only alkaline diet for dogs in the United States. According to the Canine Caviar website, “An alkaline based diet puts more oxygen in your pet’s blood, making his/her immune system stronger. With more oxygen in the blood the internal organs also work more efficiently and your dog ages at a slower rate.” In addition to feeding an alkaline food, I also like to offer treats like baby carrots and other vegetables that are safe for dogs. When I make my own salad we have a ritual where both dogs come and wait for their own pieces of kale, lettuce, and cucumbers as I’m building my own lunch. 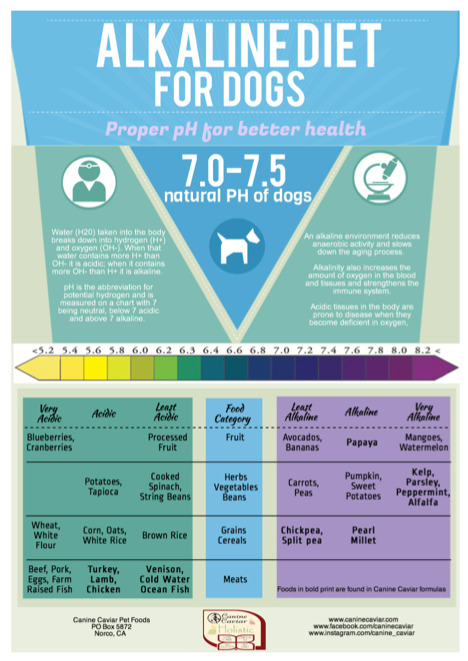 Just make sure you talk to your vet about whether your own dog can tolerate a more alkaline diet. Here is additional information on this link: http://www.vetinfo.com/alkaline-diet-for-dogs.html#b and Canine Caviar Infographic: Alkaline Diet for Dogs . The importance of rotating proteins is something else that I learned about while writing for Canine Caviar. When you switch proteins with each bag you are giving your dog a different protein, which means that they are getting a different amino acid, which in turn boosts your dog’s immune system. 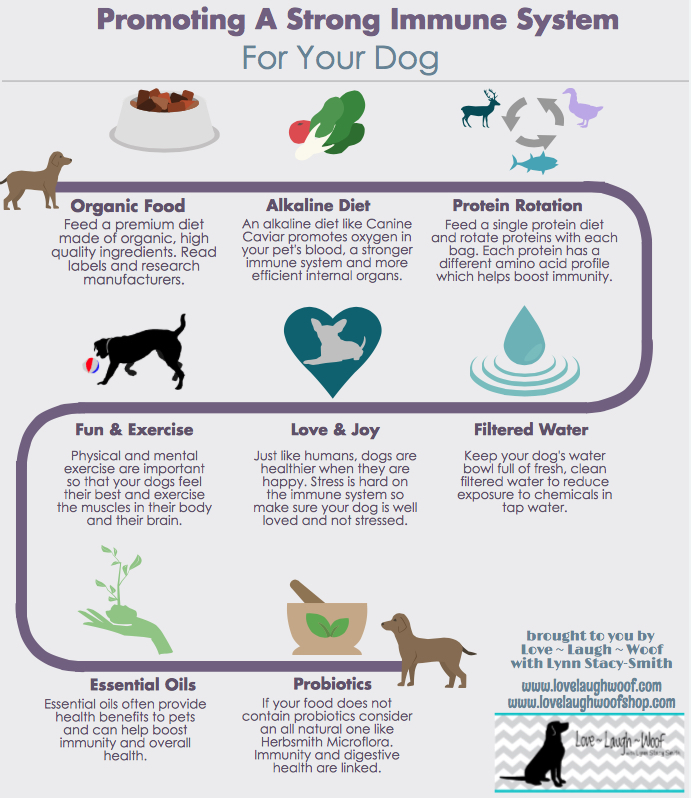 Here’s an infographic from the Canine Caviar website that explains more: http://social.caninecaviar.com/blog/2014/06/protein-rotation-pet-health/. I rotate between Canine Caviar Wild Ocean (herring) and Canine Caviar Wilderness. My backup brand if I cannot get one of those formulas is Zignature Trout & Salmon, although I prefer to stay with one brand of food. According to VetInfo, “Insufficient exercise can also lead to decreased immunity, as exercise stimulates your dog’s lymph glands, which are vital to immunity.” For dogs, being happy and getting exercise typically go together. Stress takes a terrible toll on the body and dogs can live in stressful states just like humans can. By making sure your dog’s world is fun, full of enjoyable exercise as well as relaxation and love, your dog will benefit physically as well as mentally. This is a recent change that we just made. Earlier this year we purchased a simple Brita pitcher for our human and canine family members. We are looking now at something more efficient for the faucet itself or the whole house, but for now we fill our Brita pitcher many, many times a day for our own glasses as well as Jackson and Tinkerbell’s bowl to keep contaminants from tap water out of our bodies. We hear a lot about the connection between intestinal health and the immune system in humans and the same thing applies to dogs. Probiotics add friendly bacteria to your dog’s digestive system to help him/her break down food and absorb nutrients better. Some dog foods have probiotics added to them. Because my dogs’ food has a probiotic in it, I keep Herbsmith Microflora on-hand for upset stomachs, but as the canine flu was spreading through the Chicagoland area I added it to their diet for an extra boost to their immune system. I also add it to their diet during the warmer months when lawn care pesticide usage is at its highest. 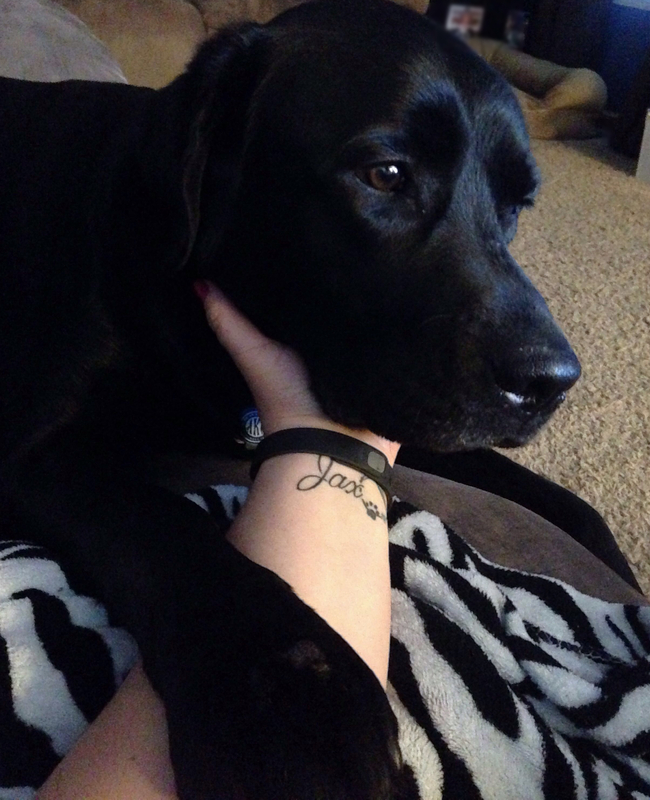 Recently I started to explore essential oils for the humans and dogs in our family. I have always loved holistic remedies for many things, particularly preventative/maintenance uses and non-life threatening medical issues. and this is the same approach I use for my dogs. As with any of the things that I am doing to benefit my own dogs, please make sure you ask your own vet before starting something new with your own dog and make sure you use high quality pure essential oils. Frankincense oil is sometimes referred to as the “king of the essential oils” for its array of benefits. One of the benefits is believed to be a positive impact on the immune system. This is one of the oils that is safe for use with dogs, although it is extremely important to remember that a dog’s sense of smell is substantially stronger than ours so you can dilute the oil if applying topically. I like to mix about a tablespoon of Fractionated Coconut Oil and around 6 drops of Frankincense oil and place a few drops of that mixture on Jackson and Tinkerbell’s back in the same method that you would use if you were applying a topical flea or tick preventative, on their shoulder blades directly to their skin. You can also add in a few drops of Lavender oil for the soothing and calming benefits.